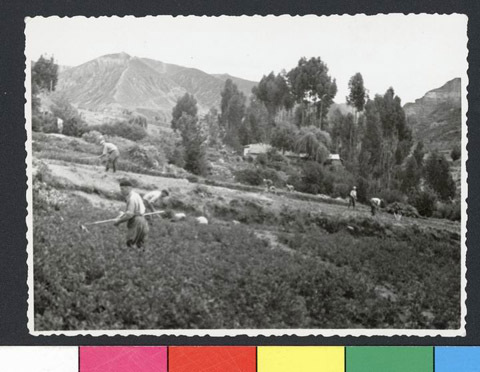 JDC - Archives : People working in the fields on a steep hill, in the Miraflores neighborhood of La Paz. Title People working in the fields on a steep hill, in the Miraflores neighborhood of La Paz. Description People working in the fields on a steep hill, in the Miraflores neighborhood of La Paz.